Have you heard of Shoes of Prey? 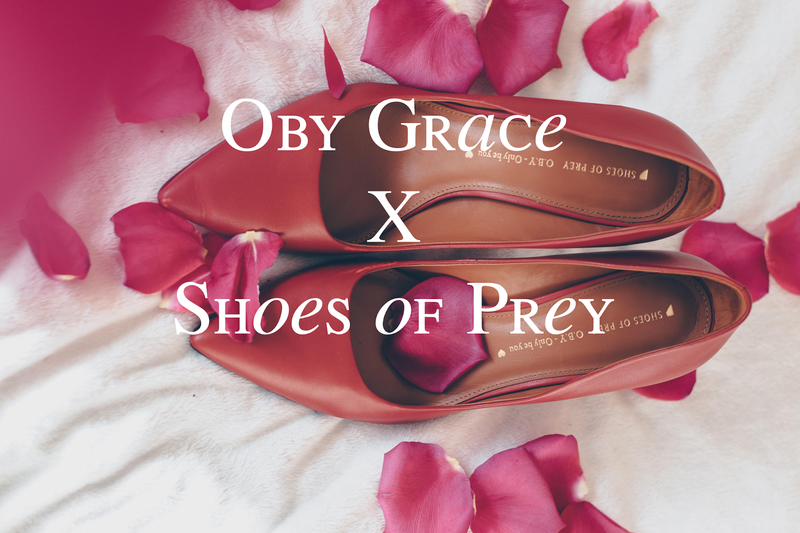 Because if you are like me and have always wanted to create your own pair of shoes then I would highly recommend checking out Shoes of Prey. I am so happy to have had the amazing opportunity to collaborate with them on my red pumps! If you follow me on Instagram then you might have seen these pumps in a couple of my post. One of my favorite part of creating my own shoes was being able to inscribe a personal motto instead of the shoes and I choose to put "Only be you". CHECK OUT HOW I HAVE BEEN STYLING MY PUMP! The only thing I didn't like about the shoes was that leather started to rub off. I have only worn the pumps for shoots so for them to be rubbing off already is not ideal because I never got to show them off to people. If I had to re-design this shoes I would pick a different kind of leather. Because I would love to wear this out but for now it will remain my go-to red pumps for shoots. Make sure to check out Shoes of Prey's website and design your own shoes!